During my residency week, I took the opportunity to play around with some things I had been thinking about. I also completed a project I had been wanting to work on for a long time. The project I completed was printing and assembling a Scream Pillow in two sizes: regular and extra-large. 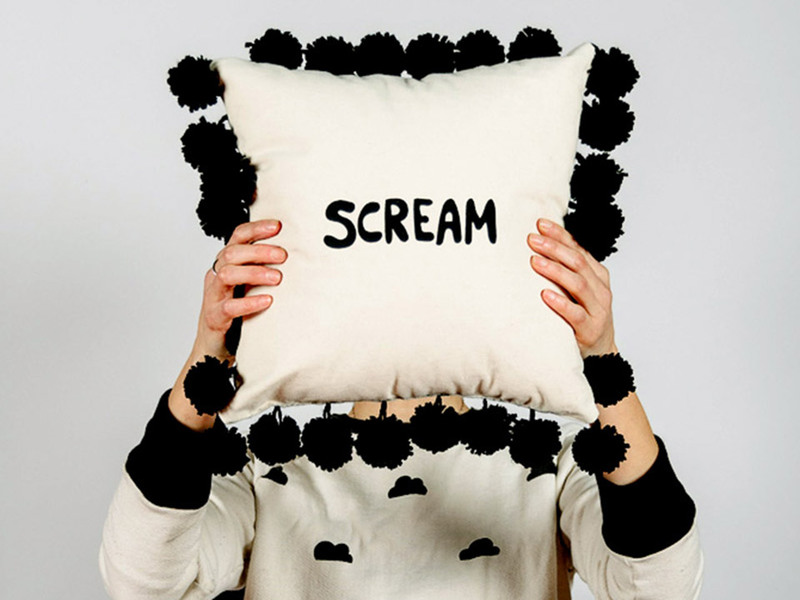 I screen printed "scream" on one side of a canvas-like fabric and "cry" on the other side, and made yarn pom poms to decorate the edges. When I completed the pillow, I used the same screen to try printing puff ink onto paper, which is something I'd wanted to try for a while. Puff plastisol ink is typically used on garments, and puffs up when heat is applied to it. I wanted to see what would happen if I printed it on paper, and so I printed the image repeatedly (10 or so times), running it through the dryer each time, which built a raised texture. This would be a fun technique to use to print images of the moon or cheese or something like that. The last project I worked on during my residency week was a more free form experiment to play around with layers and texture and to make things up as I went along. 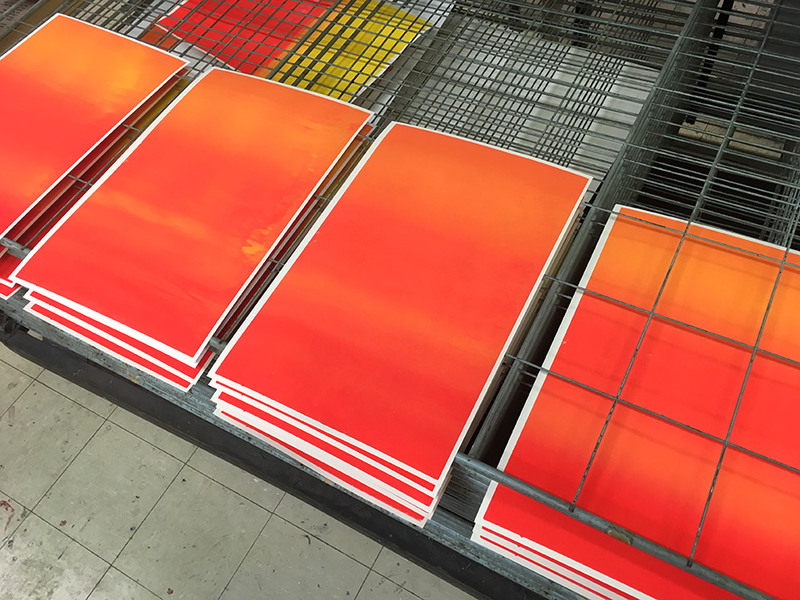 Screen printing can be a rigid process and I wanted to loosen up, and I was feeling inspired by a workshop I had taken with Jay Ryan in Chicago a few weeks earlier. I had been thinking about the cars my family had when I was younger and settled on the '65 Impala my mom had when I was born to use as base imagery. I made a couple of versions of the art in different halftones and cut rubylith for shapes, so I had a set of screens to work with. I started with some split fountain floods filling the sheets of paper and began layering and experimenting, and ended with a set of monoprints where no two are alike. Overall I was happy with what I accomplished with my residency week. At first I was disappointed going into it that I didn't have a grand, ambitious project to work on, but the playtime ended up being good and productive, and something that is difficult to make time for during the regular times.